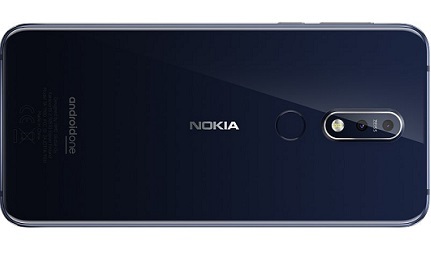 The Nokia 7.1 comes packed with impressive features, such as a HDR dual-lens 12MP camera which uses AI technology and stunning edge-to-edge 5.8 inch Full HD+ display. With the edge-to-edge PureDisplay of the Nokia 7.1 you can enjoy a larger display without a bulky handset. This full HD+ 5.84 inch screen dynamically adapts to your environment, meaning you can enjoy immersive entertainment without the glare, whether you're indoors or outside. Both stylish and sturdy, the handset features a 600 series aluminium frame with diamond-cut edges, combined with a Gorilla Glass front. Ergonomically designed, its smooth contours make it easy to hold, while the fingerprint sensor is conveniently placed on the back. Equipped with ZEISS optics, the dual rear camera on the Nokia 7.1 delivers crisp and clear images with a realistic range of colours, even in low-light situations. It also features AI technology, giving you the option to take advantage of masks, filters and 3D personas. Take even more control over your images with Pro UI Camera mode, which offers manual adjustments over your results. Make your own amendments on white balance, shutter speed, ISO and aperture to get the photos you really want, regardless of the situation. 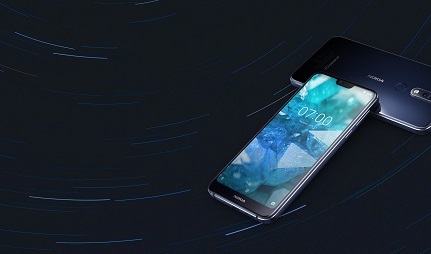 Stay powered up until night-time, with the all-day battery life of the Nokia 7.1. Watch more movies and browse the web for longer between charges with this reliable battery. If games are more your thing, there's a powerful Snapdragon 636 processor behind the scenes to keep everything running smoothly. Enjoy a Google optimised software experience with Android One which offers easy access to the features you love the most via a streamlined and uncluttered interface. With regular security updates, Google Assistant, and unlimited Google Photo storage, it has plenty to shout about. Excellent phone, fast and a very good camera.